Think you know Pit Bulls? Some controversial bull terrier breeds have been involved in some highly publicized biting incidents and dog-fighting headlines in recent years. Unfortunately, these incidents tarnish the reputations of what can be friendly, stable even calm pets. There are many myths surrounding Pit Bull breeds. See if you can separate fact from fiction with our quiz. Fact or Fiction: Well-known celebrities like Alicia Silverstone, Judd Nelson and Rosie Perez all have Pit Bulls. 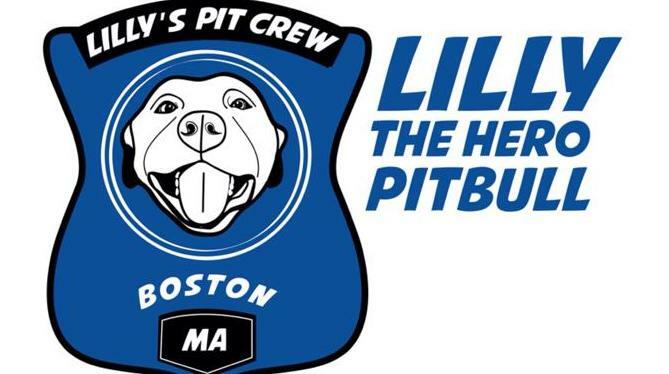 Fact or Fiction: American Pit Bull Terriers lock their jaws. Fact or Fiction: There is no such thing as a “bad breed”. Fact or Fiction: America’s first war dog was a Pit Bull. Fact or Fiction: Pit bulls are actually bred to be affectionate towards people. Fact or Fiction: Pit Bulls serve as therapy dogs. Fact or Fiction: Petey, the faithful dog on the TV show “The Little Rascals”, was a Pit Bull. Fact or Fiction: You shouldn’t adopt a Pit Bull from a shelter. FACT. Many well-known celebrities like Rosie Perez, Judd Nelson Usher, Alicia Silverstone, Sinbad, John Stuart, Amy Jo Johnson, and Bernadette Peters have Pit Bulls. FICTION. Studies show that the jaw of the Pit Bull is in proportion to its size and is no different than any other breed of dog. There is no evidence that any kind of “locking mechanism” exists in the American Pit Bull Terrier. The infamous locking jaw is a myth. The American Pit Bull Terrier and related breeds are physiologically no different from any other breed of dog. All dogs are from the same species and none have locking jaws. Dr. I Lehr Brisbin of the University of Georgia states, “To the best of our knowledge, there are no published scientific studies that would allow any meaningful comparison to be made of the biting power of various breeds of dogs. There are, moreover, compelling technical reasons why such data describing biting power in terms of ‘pounds per square inch’ can never be collected in a meaningful way. All figures describing biting power in such terms can be traced to either unfounded rumor or, in some cases, to newspaper articles with no foundation in factual data.” Furthermore, Dr. Brisbin states, “The few studies which have been conducted of the structure of the skulls, mandibles and teeth of pit bulls show that, in proportion to their size, their jaw structure and thus its inferred functional morphology, is no different than that of any breed of dog. FACT. The pit bull breed gets a bad rap, but more often than not, they are the VICTIMS of irresponsible and abusive ownership. Pit bulls are extremely intelligent dogs and take their cues from the humans who raise them. Only humans are capable of knowing the difference between “right and wrong” and all dogs are bred, raised, and trained to behave the way they do. In a recent study of 122 dog breeds by the American Temperament Testing Society (ATTS), pit bulls achieved a passing rate of 83.9%. That’s as good or better than beagles … 78.2%, and golden retrievers … 83.2%. How did your favorite breed do? See for yourself at http://www.ATTS.org. In the ATTS test, a dog is put through a series of confrontational situations. Any sign of panic or aggression leads to failure of the test. The achievement of pit bulls in this study disproves once and for all the old tired belief that pit bulls are inherently aggressive to people. Like any breed of dog, a healthy pit bull that is properly raised will remain loving and friendly. In the past 20 years, we’ve seen some sad examples of poorly bred and badly treated dogs that are the byproducts of irresponsible ‘backyard breeders’ and cruel and abusive homes. These improperly raised, unsocialized creatures can show temperaments far removed from the traditional authentic pit bull. Don’t confuse these unfortunate misbreds with the huge majority of well-loved dogs in this country that remain solid in temperament, affectionate, trustworthy and friendly to their dying day. FACT. The first United States war dog was a Pit Bull named Stubby. Stubby served in World War I and was honored with medals and a visit to the White House. He went on to inspire the United States Military K-9 Corp. FACT. Pit bulls have been bred for hundreds of years for strength, agility, high pain tolerance and absence of aggression toward humans. Because they were traditionally fighting dogs and most were also family pets, the dogs required extensive handling. So even though they were bred to be aggressive towards other dogs, aggression toward humans has never been tolerated. FACT. Pit Bulls have long served as therapy dogs. In fact, Helen Keller’s canine helper was a Pit Bull. Organizations such as the Chako Rescue Association have Pit Bull therapy dogs across the country in Utah, California and more. FACT. Petey, the Pit Bull, spent countless hours with children day after day on the set of “The Little Rascals” TV Show. It is said that he was one of the most intelligent dogs in Hollywood. FICTION: When looking to adopt a pet, don’t exclude the Pit Bull. Reputable shelters and rescues like the MSPCA will not adopt out any dog that shows signs of aggression. It’s always a good idea to bring your entire family to the shelter when considering adopting a dog of any breed. Talk to the rescue organization about your concerns and ask questions before adopting any dog. Most Pit Bull adoptions are successful. An adoptable Pit Bull will make a wonderful pet.